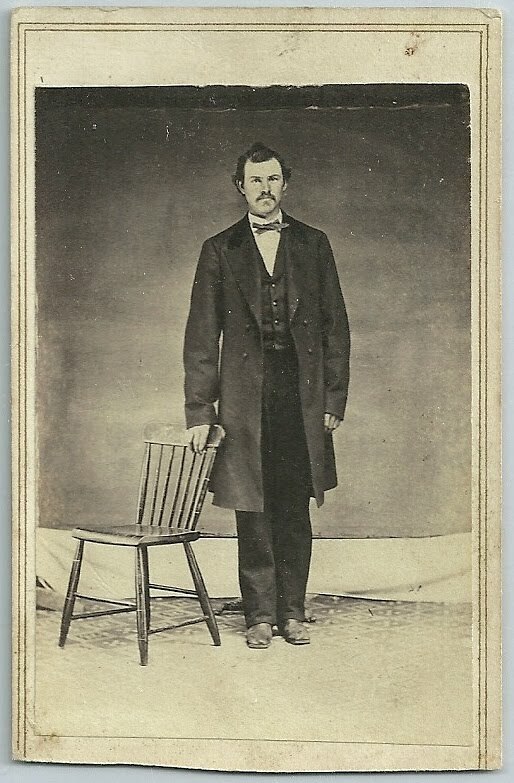 Carte de Visite of a man identified as James Curry. Sadly, no photographer's imprint to give a clue to locale. 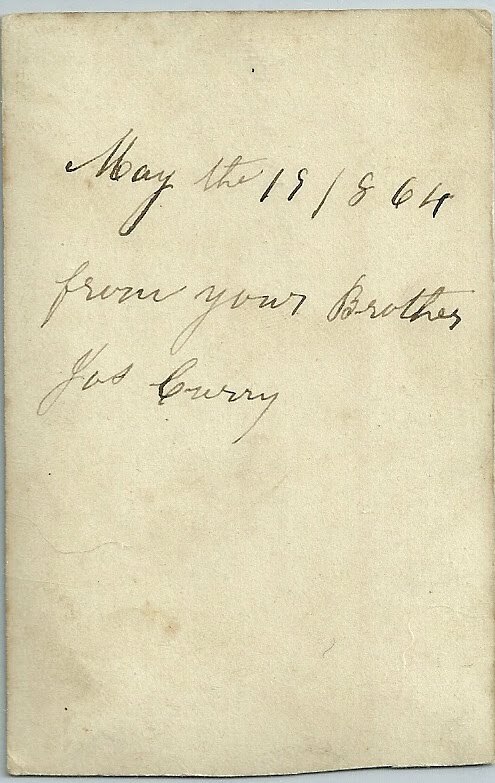 The CDV, dated May 19, 1864, was intended as a gift for his brother or sister. 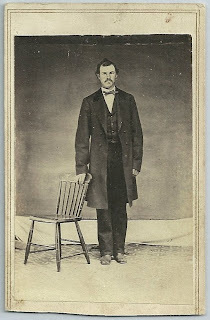 If you have a James Curry in your background or you are researching one, please check family albums for more photographs to compare with this one. As he himself stated, James would have had at least one sibling. 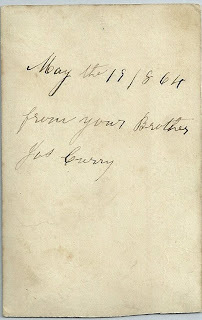 If you have an insight into this James Curry, please contact me. Thanks for stopping by!